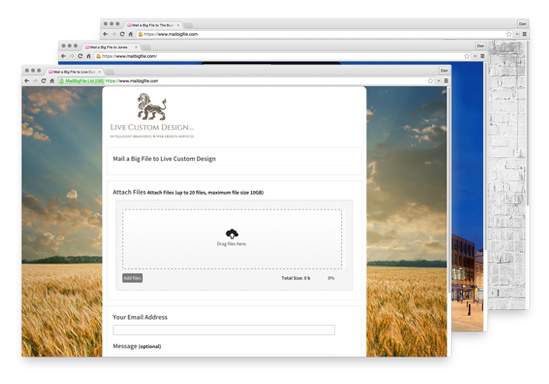 We offer extras and customisation features with a MailBigFile Business account. These include FTP integration, custom form fields and account customisation. Another great feature available for your Business Account. We offer the functionality for all the files sent to you to be placed directly on your FTP server. Unites with your current workflow. Integration with your order process. Easier for client to upload files directly to you. All of your files in one place. This premium service will cost an additional $160 per year, but please contact our support team for more information. 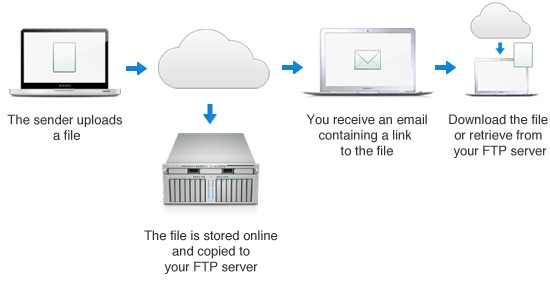 How does FTP integration work? Business Accounts come with the additional option of Custom Form Fields on your receive files page. All field types available - checkboxes, dropdown, textareas, etc. These fields are extremely versatile allowing your company to use them however you choose. This premium service will typically cost an additional $80 per year, but please contact our support team for more information. Increase download limit on all files. Increase download limit on a file-by-file basis. Sign up for a Business Account today.